Dozens were killed after tourist boats capsized off the southern island of Phuket, Thailand on July 5. Many of the passengers aboard were Chinese tourists. Calls for a boycott of Thailand have broken out in China. 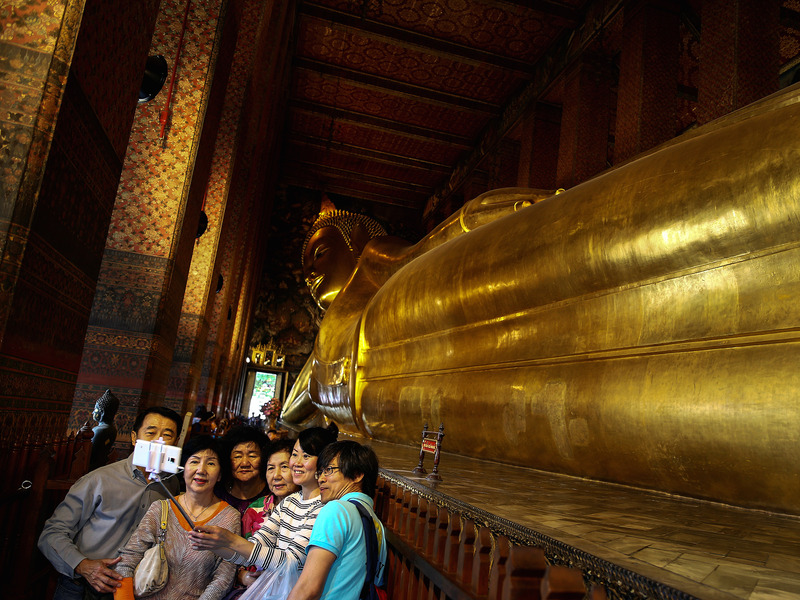 Economists say that could cost the Thai tourism industry more than $1 billion. A boat accident off the Thai island of Phuket that left at least 45 people dead â" most of them Chinese tourists â" has caused some in China to call for a boycott of tourism to Thailand. Some economists estimate such action would cost Thailand more than $1 billion in tourism revenue this year. Two tour boats capsized July 5 off the resort island of Phuket after hitting 16-foot waves during a storm. While Thai authorities said official weather warnings were issued before the boats went to sea, CNN reports the incident has raised questions about safety standards in the country and led outrage and calls to boycott Thailand. Thailand's Deputy Prime Minister Prawit Wongsuwan initially dodged blame, telling reporters the accident was "entirely Chinese harming Chinese." The Thai government later issued an apology, but some damage appeared to already have been done. Days after state-run newspaper China Daily called the remarks "provocative and irresponsible," Thailand's Phuket News reported that Chinese tourists have cancelled thousands of summer hotel reservations since the incident. Nomura economists led by Euben Paracuelles predicted in a note that the incident could cost the Thai tourism sector $1.5 billion, based on past drops. For example, Paracuelles said the number of tourists to Thailand fell by around 8% within two months of a deadly bombing at a popular Bangkok shrine in 2015. The industry took about four months to fully recover, he said. "In the near term, we think tourist arrivals in July could drop sharply as a result of this incident and the World Cup," ; Paracuelles said, adding that Russia accounts for nearly 6% of Thailand's tourism receipts. China is the largest source of tourist arrivals to Thailand and on the rise, jumping from 7% in 2010 to 30% this year. China also makes up nearly 29% of revenue in the industry. Despite a potential blow to tourism revenue, economists see the situation as "manageable" in the near-term. With rising oil prices and seasonal factors, they expect current account surplus to rise to $10.8 billion in the third quarter after falling to $8 billion the quarter before. "The impact on the current account balance should be relatively limited," Paracuelles said.